On Sunday More than 50 Afghans where Martyred and many where seriously injured in Nato Air Strikes in Afghanistan Province Helmand. 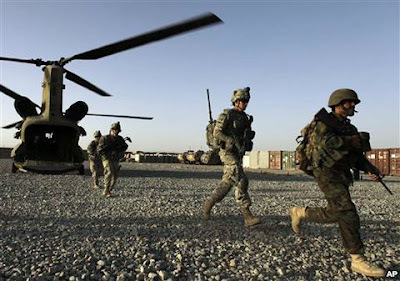 Afghan Officials has claimed that Nato Jet Fighters attacked after Firing from Afghan Taliban on Nato Jet Fighters.Civilians Killings by Nato and US Forces are on rise from a year in Afghanistan and almost every week somewhere such incidents keeps on taking place. on other hand Afghan Taliban has taken complete control of Afghan District Bargamtal of Nuristan province after strong fights between Taliban and Afghan Police. Two American Soldiers that where kidnapped by Taliban from Kabul are not yet found and US and Nato troops are searching to find the Kidnapped Soldiers.